Rare books by Jane Austen, including first editions, copies in fine bindings, and handsome sets of her collected works. Jane Austen is one of England’s most revered writers, known for her witty novels of manners. 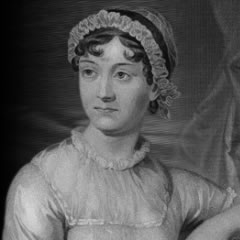 Four of her full-length novels were published during her lifetime in three-volume format, beginning with Sense and Sensibility in 1811, and her most successful work,Pride and Prejudice in 1813. The Novels [and] The Letters. Jane Austen's novels..."> First Clarendon edition, large paper edition, limited to 1,000 sets, of which 950 were for sale, presentation copy (and therefore presumably one of the 50 copies not for sale), inscribed by the editor in the first volume to his youngest son, "Michael Edward Chapman, from his father, the editor". Northanger Abbey and Persuasion were published posthumously together in four volumes in 1818. Austen’s earlier novels had been financially successful, but sales of the final two tailed off. Her books remained out of print for 12 years until publisher Richard Bentley purchased the rights and issued the first inexpensive, single-volume illustrated editions in his Standard Novels series. 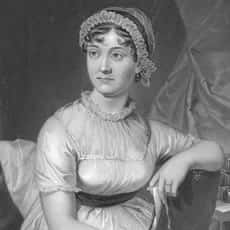 But Austen remained a relatively marginal author until the publication of her nephew’s Memoir of Jane Austen in 1869, which renewed interest in her books and led to increasingly serious literary analysis of her work. In the 1890s, collected editions, many of them illustrated, began to appear. Today her first editions, the Bentley editions, and the later collected editions are all highly sought-after by collectors. Regularly stocked editions of Austen’s works include: the Complete Works, The Winchester Edition, first Clarendon Press edition, Second Chapman edition, Adelphi edition, Chawton edition and Brock’s illustrated edition. Watch a video of Adam Douglas, our Senior Specialist in Early Literature, introducing a selection of Jane Austen’s first editions and explaining how the different Jane Austen bindings affect value.